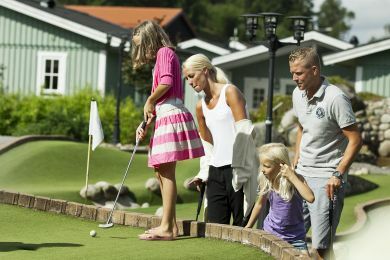 Gekås Ullared offers a huge range of activities. With all due respect to shopping, not everyone in your party will have the same degree of stamina. Enjoy the glorious scenery and take advantage of everything that’s on offer, for both young and old alike. The activities follow the seasons. There’s always something going on, whether it be dancing and musical events or exciting activities instore. 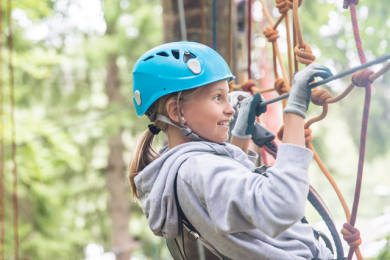 And those with an eye for adventure can enjoy the high-octane Upzone high ropes course. 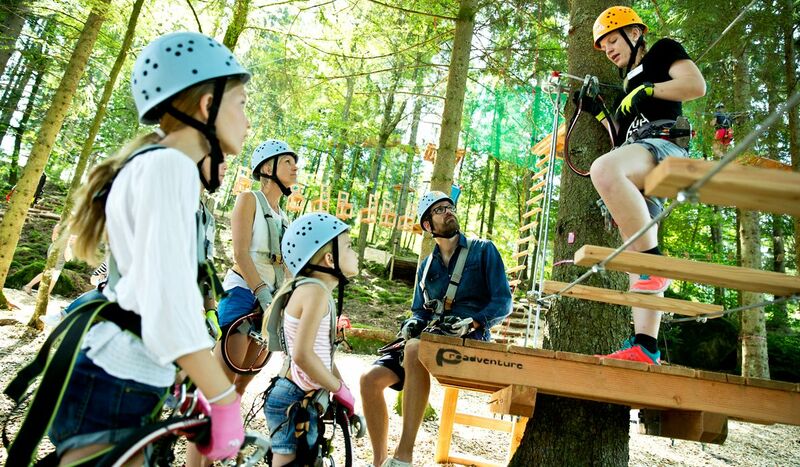 Launch yourself onto Gekås Village’s exhilarating high ropes Adventure park . An adventure for all the family. Hang in there for an adventure among the treetops! 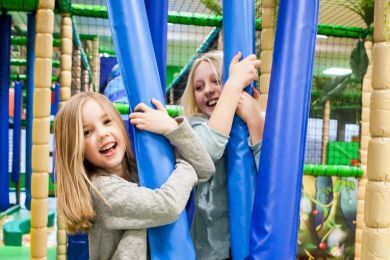 The Play Centre is a giant green jungle area on Floor 4. Here, kids up to the age of 10 can climb, balance, cycle, jump and slide to their hearts’ content. 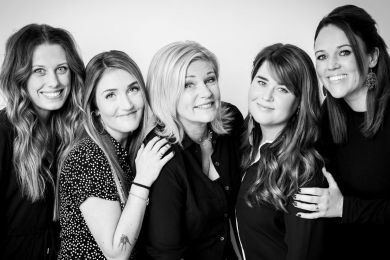 Why not get your hair done during your visit? Welcome up to the Hår & Häpna hair salon on Floor 3. You can also book to have your ears pierced. Wind down after your day’s shopping in a nice warm outdoor pool. 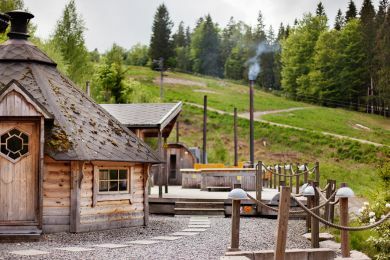 In Gekås Village’s spa area you can swim or barbecue on the edge of the forest. 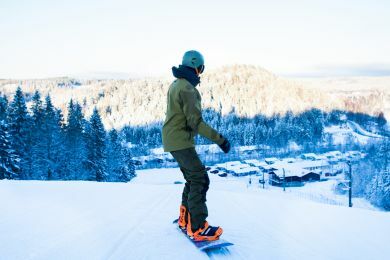 The ski slope in Ullared is open when snow falls in the forest, and then skiers big and small whizz down the hillside! The fish are biting in Ullared! 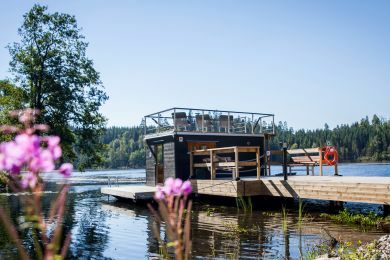 Why not pack up a snack and make your way down to Högvadsån River? It runs directly behind the store and on past the campsite. 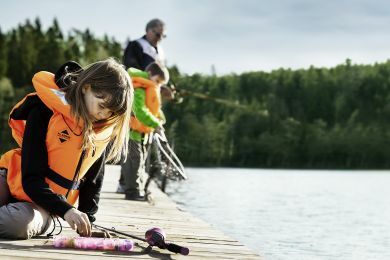 A stone’s throw from the superstore, the cabin village and the campsite is Lake Musasjön. Here you’ll find a sandy beach, a bathing platform all in a beautiful setting. Why not round off your day’s shopping with a relaxing sauna in scenic surroundings? The sauna raft is in a beautiful location out in the lake. A few hundred metres from the cabin village and campsite is Hedevi Sports Centre, which offers a wide range of facilities for the sports enthusiast.